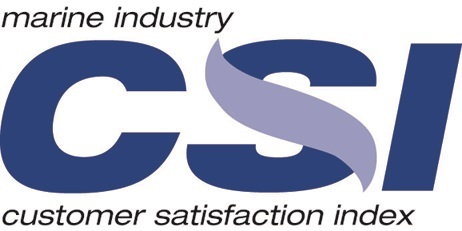 The Marine Industry Customer Satisfaction Index (CSI) program is designed to enable marine industry manufacturers and dealers to measure and improve customer satisfaction. For further information on the Marine Industry CSI program administered by AVALA marketing, please visit boatsatisfaction.com. What is the NMMA certification CSI requirement? Minimum— A single census-type survey be conducted by the manufacturer with ALL known retail consumers within the first 12 months of retail ownership. Survey results must be tabulated and reports provided to company management on a regular and ongoing basis. Does my company need to have a CSI process? If your boats can be certified by the NMMA it is likely that you will need to have a CSI process in place. Although there are a few exceptions, the vast majority of manufacturers will be required to have a CSI program. What type of survey is required? The survey process can be accomplished by various methods. The survey may be conducted via mail or phone and be as simple as a return postcard format or short telephone survey. You may conduct the survey yourself or contract with a third party to do the work. If you wish to use other methods, we would review your process to ensure that the process is valid. What are the CSI program exceptions? Manufacturers that produce less than 25 boats per year. Manufacturers that do not produce boats that are covered by USCG CFR or ABYC industry standards. Manufacturers that do not produce boats sold at the retail level. Other manufacturers exempted based on review of certification requirements or by the CSI Steering Committee. Surveys are to be conducted with ALL known retail consumers. When should the survey be conducted? The survey may be conducted at any time during the first 12 months of retail ownership. What will the inspectors be looking for in regards to my CSI process? Inspection Activity — The "Key" item is that a formal process be in place and that NMMA product certification inspectors can review documents that confirm ongoing CSI activity. This could include items such as returned surveys, recurrent reporting, follow-up files, etc. Does the NMMA require that specific questions be included in the survey? Overall, how would you rate your satisfaction in the following areas? Does the NMMA require a specific method to rank or score responses to the survey questions? No. However we recommend a five-point scale as the standard. The following scale is used by the Marine Industry CSI program and is recognized by over 70 boat manufacturers in reviewing CSI material. Does the NMMA have any resources that can help me evaluate my current CSI program or help me implement a CSI program? If you currently have a CSI program in place, we will be happy to review your program and provide appropriate comments relative to the certification process. The NMMA also provides members with access to a standard Marine Industry CSI program. This CSI program more than meets the minimum certification requirements and provides a very cost competitive option to implementing a program from scratch.